Welcome to this fantastic collection of Fillomino! 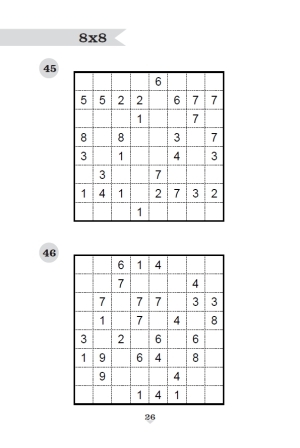 This unique puzzle type is a brilliant way to advance your puzzle solving skills. The rules are a little bit tricky, but once understood, make for truly satisfying challenge. You must fill every empty square with a number of any value. Each number must form part of a continuous region of squares of size specified by the number. Two different regions with the same number of squares cannot touch horizontally/vertically. Some regions may have no preprinted numbers at all, while others may have multiple preprinted numbers. If you are unsure, turn towards the back of the book for a helping hand where you will find all solutions. 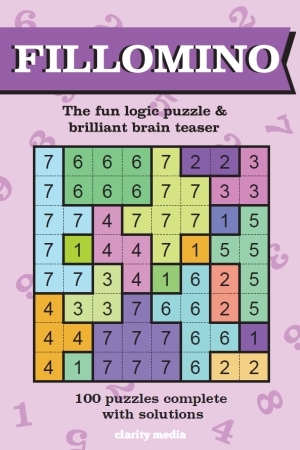 Please do let us know how you get on with this puzzle type. Have a suggestion? Let us know using the contact form from the main menu.